As increased competition drives the need for efficient manufacturing processes, more and more companies are incorporating robotic technologies, such as a robotic case erector, in their end-of-line packaging systems. Robotic systems provide more flexibility to a packaging line and can accommodate products of varying sizes and configurations. Robotic systems expedite transitions by running variable case dimensions on a single system. With a robotic case erector, case size recipes can be saved in the HMI, then retrieved and selected when a case size change is required. Changeover automation expedites transitions so operators can easily perform short production runs, mix-and-match packaging, and custom packaging configurations. Manual line changeovers are eliminated by using smart sensors, drives, and programmable logic controllers and result in reduced downtime and higher, more-consistent throughput. 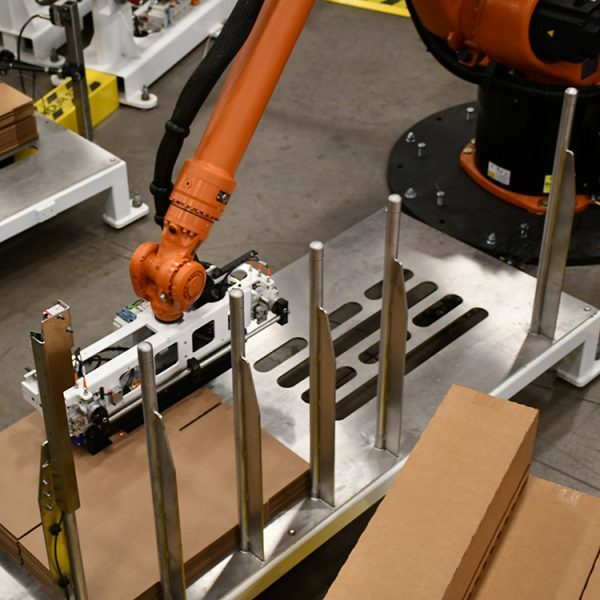 Robotic case erectors occupy less space than conventional box erecting systems, making them easy to integrate into existing end-of-line packaging systems. Automating the case erector process eliminates ergonomic issues that stem from repetitive human activity. This leads to increased safety, higher productivity, reduced labor costs, and maximized throughput. All ABCO robotic case erector cells come standard with safety guarding and emergency stops. Run variable case dimensions at one time through a single system. Case erectors add more flexibility to packaging lines.